After a week’s holiday on Florida’s western coast you become an expert at sunsets. Because the conditions under which the sun delivers a perfect show is a small science in itself: A glowing red disk seems to sink into the sea, whereby the sky first turns orange, then purple and finally dark blue. It should not be too cloudy nor too clear – the devil is in the detail, e.g in the cirrus clouds or the barely perceptible haze on the horizon, which is the main factor in this fireworks of colour. You can have a daily bet with your partner or friends: How beautiful will it be today? The fact that sunset watching is an established sport here is already indicated by the name of a popular beach, which is simply called “Sunset Beach”. 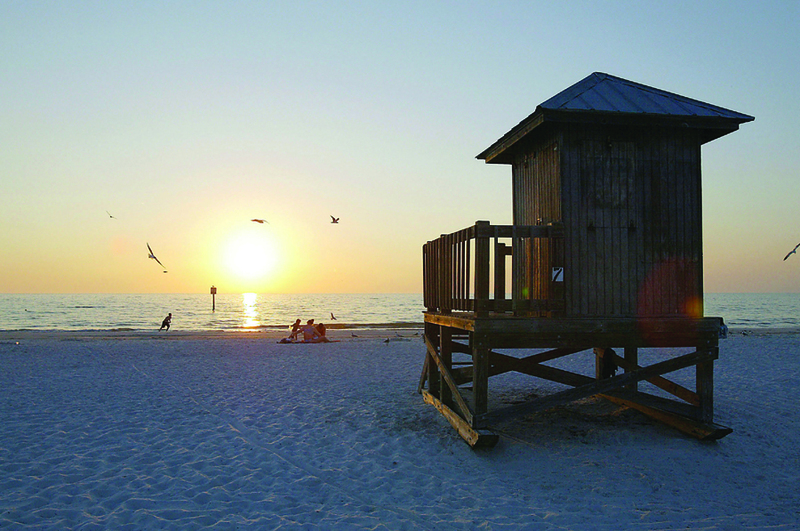 Sunset Beach, Treasure Island, Diamond Isle – elegant restraint is not exactly the strength of Florida’s Gulf Coast around the city of Saint Petersburg. And there is no need for that because the beaches are warm, mellow and white everywhere. E.g. 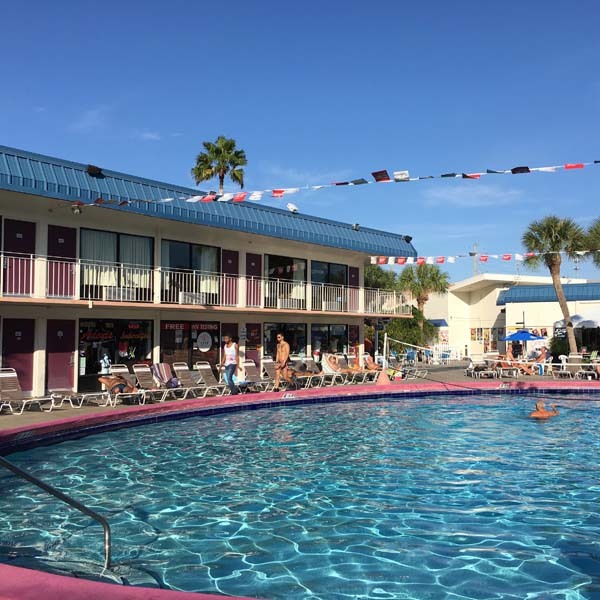 the wide and most popular with families Clearwater Beach with its hotels and restaurants or the remote North Beach in Fort De Soto Park. You can spot dolphins now and then swimming past nearby, pelicans going on a nosedive and white herons landing unimpressed just a few meters shy of remote bathers. Or Sunset Beach, the most popular beach with the gays of Saint Petersburg and the neighbouring Tampa: Its southern section is particularly popular on Saturdays and Sundays. Kevin who lives in Tampa packs his swimming trunks every week. “I’m comfortable here, don’t need to hide,” he says, looking at his friends. They have set up two tents, brought coolers full of beer cans and installed a small sound system from which emenates gentle electronic music at moderate volume. Some boys hop into the sea, the others start talking to the neighbours. The mood is relaxed in a self-confident way: You know what nature has to offer and you know how to enjoy it. Everyone here is proud of the beaches, which becomes evident immediately after arriving at the airport: several posters promote their beauty and display the ranking of the beach testers from “Dr. Beach”. They regularly rank the local beaches highly which is quoted proudly. But to reduce “St Pete”, as it is called locally, to the beaches alone would be a mistake. Although the city is often overshadowed by the big gay cities of Miami, Fort Lauderdale and Key West, it is indeed one of Florida’s gay centres. The largest Pride of the state of Florida rises here, and Florida’s oldest gay bar, the Pro Shop Pub is still in busines to offer you your after-work beer. The gay community seems to have taken over half of the city centre anyway. 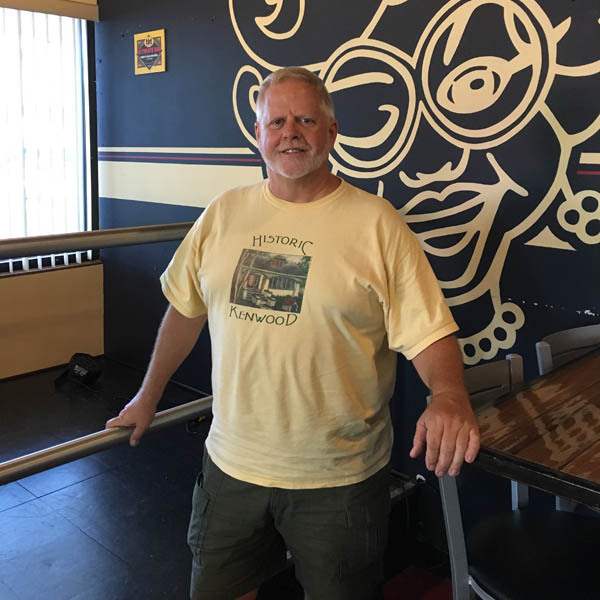 “There are over 75 businesses in St Pete that are either explicitly gay-friendly or belong to people of the community,” says Brian, who has lived in St Pete for 32 years, works as an estate agent and also runs a gay guesthouse and restaurant. Visitors are not only interested in the art and antique shops but also in the bars such as the Enigma, the Garage and the Lucky Star Lounge, or, a little on the soutskirts, the huge Flamingo Resort. The old hotel in today’s trendy mid-century Modern Style has an elegant kidney-shaped pool that regularly becomes a gay meeting place on Sunday afternoons. The area around Central Avenue, between 34th Street and the I-275 motorway, is also being revitalised by the community. In “Grand Central”, formerly a neighbourhood of dubious reputation many rainbow flags are now waving outside the small, independent shops that move into few remaining empty buildings. Those who can appreciate American cities and their modern, spacious buildings of the first half of the 20th century – and don’t expect to find any narrow old town centres as in Europe – are yet to discover another gem north of Central Avenue: The Kenwood Neighbourhood where bungalows from the 1920s to the 1950s line small tree-lined cobbled streets. There is also high culture offered in Saint Petersburg. The Dalí Museum houses the largest collection of the Spanish master outside Europe. A tour there leads to one of Dalí’s most famous double paintings: If you look at the painting from a distance, you can see a mosaic-like portrait of Abraham Lincoln. But the closer you get to the canvas the more Dalí’s wife Gala Éluard materialises. With her back to the observer, she is watching a spectacular sunset. It is not known whether she found out on which days the sunset watching was particularly worthwhile. However, it is clear that after a visit to the museum you long to deepen your own knowledge of it once again. On Sunset Beach, of course – like every evening.